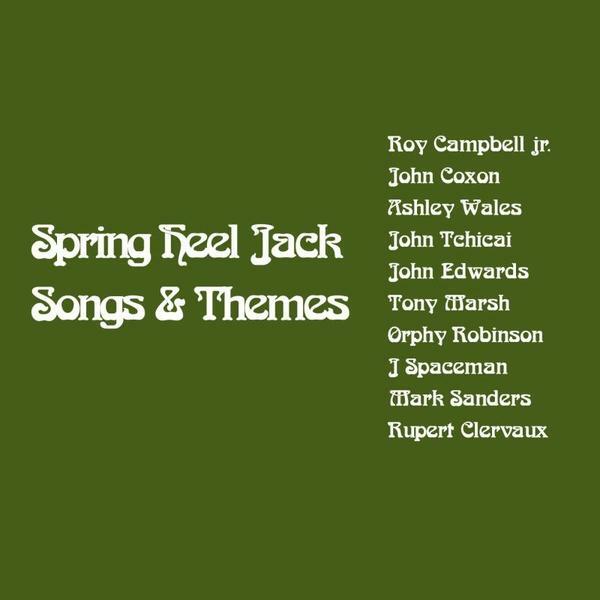 This new album from Spring Heel Jack will only serve to reinforce their reputation as serious composers and improvisers, moving them to a position virtually untraceable from their drum & bass roots. Using a select bunch of jazz musicians (and Jason Pierce), the duo of John Coxon and Ashley Wales have devised an incredibly strong set of pieces from a range of disciplines, calling upon contemporary classical techniques, ambience and noise rock in addition to various modes of jazz. Most of these genres are incorporated into the excellent opening couplet 'Church Music' and 'Dereks', with the latter making especially fine use of the natural reverberations of its Abbey Road recording space. The brief horn/woodwind piece 'Eupen' at first seems harmonically cogent, but there are moments when the various instruments tend to rub each other up the wrong way, and it's unclear as to whether that's by design or misadventure. The end result is something a little more unsettling than you at first expect it to be, and is all the better for it. At its gentlest on the ear, the album is very approachable indeed: the faded piano sound on 'Clara' is rather haunting, chiming mournfully along to the lead horn sound, although immediately after that, '100 Yards' breaks the calm, launching into a torrent of distortion and guitar noise - most likely emanating from the amplifier of the Spiritualized frontman. Recommended.